An 18th century teabowl and saucer by John Bartlam, America’s first porcelain manufacturer, are heading for auction in the UK next month. The rare and historic pieces are amongst just nine known examples produced by Bartlam in South Carolina during the late 1760s. Having been discovered on eBay for less than £1,000 ($1,300), the teabowl and saucer could now achieve a six-figure sum when they cross the block at Woolley & Wallis on February 19. John Bartlam was an English master pottery maker who emigrated to America in 1763, and established a factory in Cain Hoy, South Carolina. 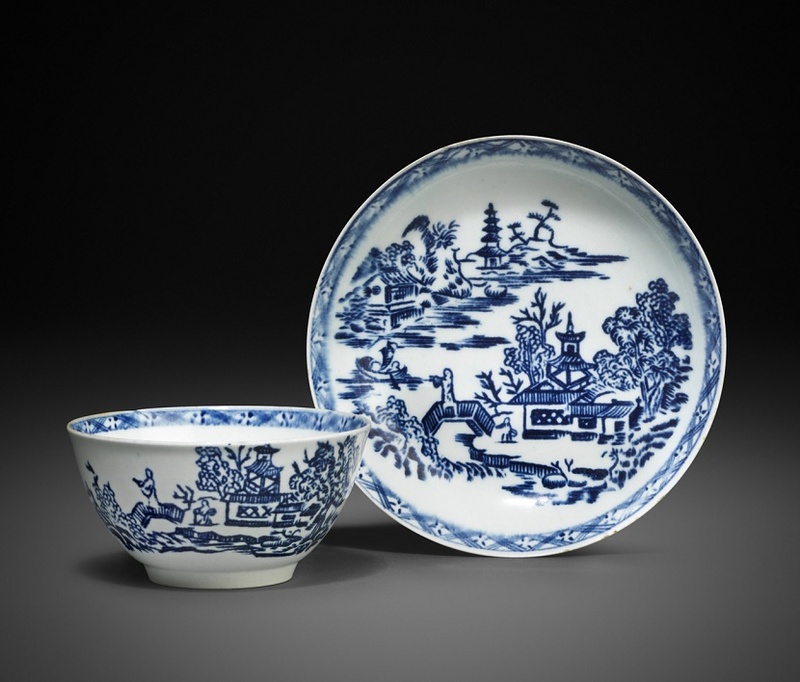 For many years experts believed the first porcelain had been produced in the U.S by the Philadelphia-based manufacturer Bonnin and Morris, which operated from 1770 until 1772. However, in 2007 archaeologists discovered soft porcelain shards with blue and white decoration during excavations in Cain Hoy, on the bank of the Wando River. 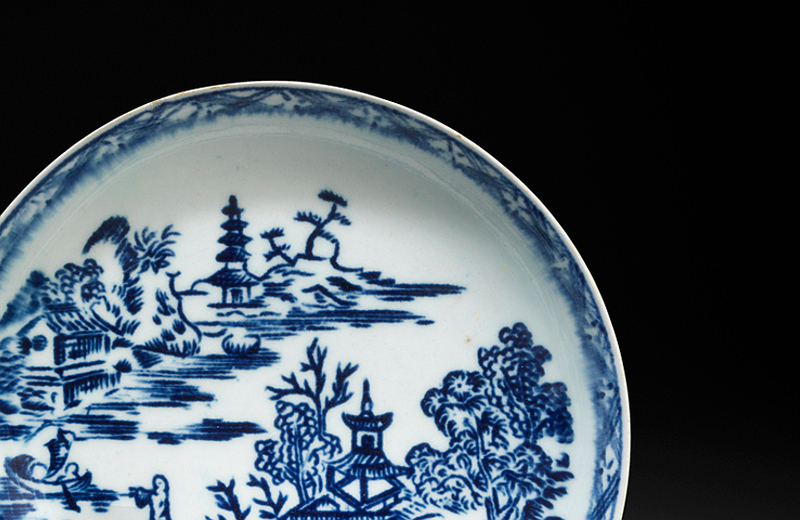 Their research revealed that Bartlam’s factory kilns had operated in the region circa 1765 – 1770, making his porcelain the earliest ever produced on American soil. Although the initial fragments were found in Cain Hoy, all nine of the surviving pieces of John Bartlam porcelain have been discovered in Britain over the past eight years. The reasons behind this remain a mystery, but experts believe he may have shipped some of his piece back to English customers, or brought them back himself when he returned home in 1773. Before heading across the Atlantic, John Bartlam had originally trained in Staffordshire, at the heart of the British pottery manufacturing industry. 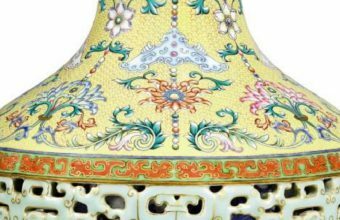 His designs were similar to existing patterns, which led to his pieces initially being misidentified and attributed to English manufacturers. 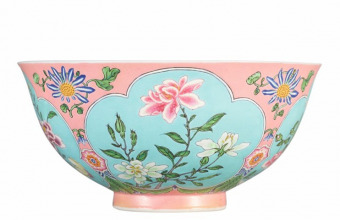 The present teabowl and saucer currently had previously been exhibited in the 1960s as Lowestoft porcelain, and less than two years ago sold on eBay with an Isleworth attribution. The first discovery of an intact Bartlam piece was made in 2010 by English porcelain specialist Roderick Jellicoe, who identified a teabowl which matched the patterned fragments found by archaeologists. A further three teabowls were unearthed in private collections, and having been newly-attributed to the Bartlam factory, were snapped up for impressive prices. Two were acquired by The Chipstone Foundation in Milwaukee and the Philadelphia Museum of Art for around $50,000 and $75,000 respectively; and another sold at Christie’s in New York in 2013 for $120,000 (£76,000). The most remarkable sale came in February 2018, as Wooley & Wallis offered a John Bartlam teapot that its owner had originally purchased for just £15 ($20) at a local antique fair. 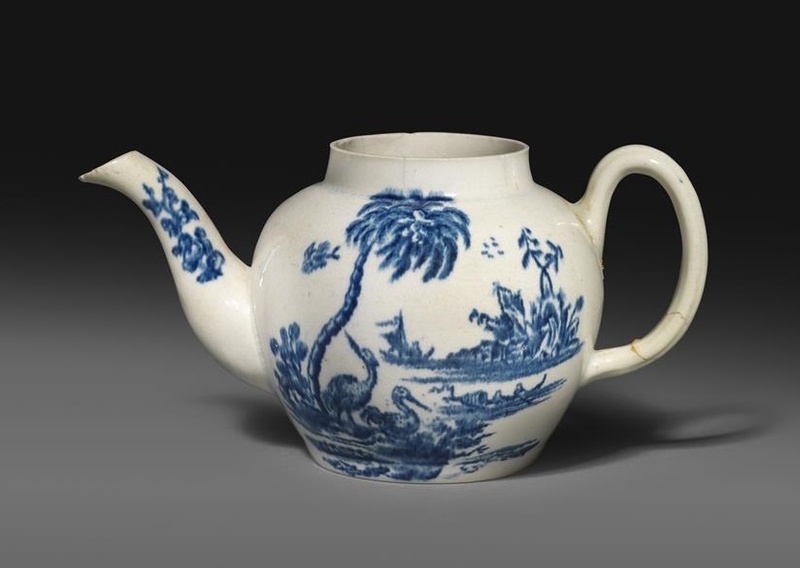 Its historic importance as the first porcelain teapot ever made in America sparked a fierce international bidding war amongst collectors, and it eventually sold for a stunning £575,000 (approximately $806,000). 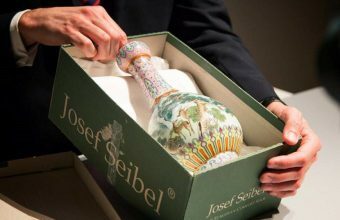 The winning bid was placed on behalf of the Metropolitan Museum of Art in New York, and the teapot now resides as part of its permanent collection.